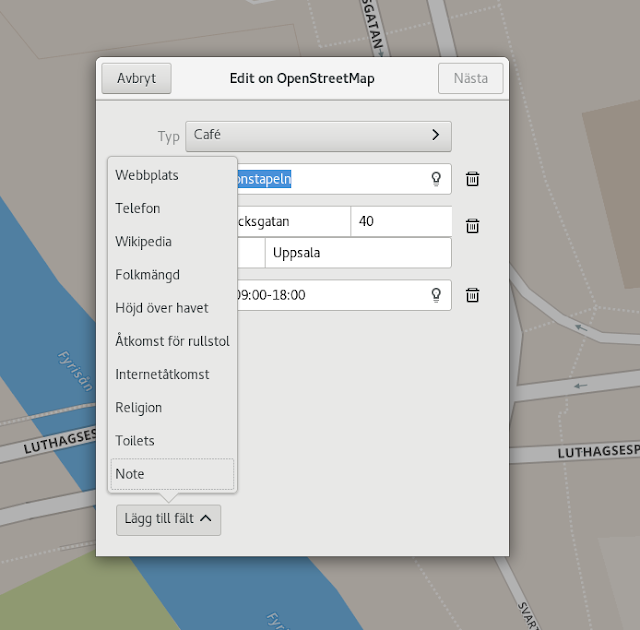 So, we're on final stretch towards the GNOME 3.26 release next week, just released the last beta of Maps (3.25.92) earlier in the week. This cycle hasn't seen that any real ground-breaking user-visible changes. But various smaller bugfixes. Nevertheless there's been a few nice improvements on the surface (as seen in earlier blogposts). 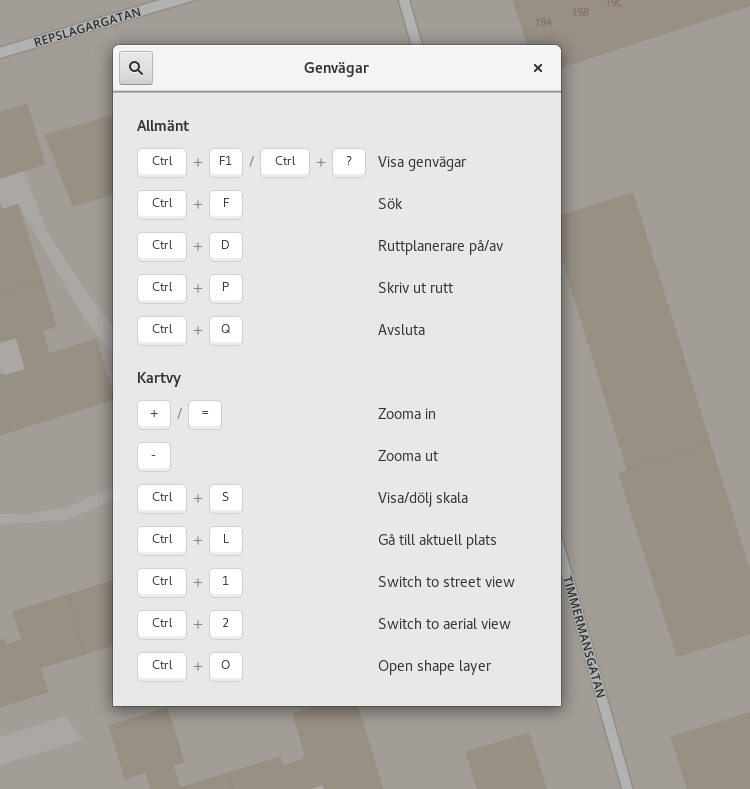 To switch between the regular map view and aerial view, ctrl+1 and ctrl+2 can be used (instead of having to use the layer menu in the title bar). And to ctrl+o to open a layer file (such as a GPX recorded GPS track). Now we have availabilty of toilets as well as relegious affinity (for things like places of worship) available. Also for the edit view, we now show and allow editing of editor notes (these are meant as hints for other contributors on OpenStreetMap). One feature I talked about earlier, but that hasn't landed yet (and thus will have to wait until 3.28 next spring) is the showing of thumbnail images obtained from Wikipedia in the map bubbles, as we haven't settled the UI and tweaked suitable sizes and such yet. Another issue I fixed is how we handle entering search text when starting typing, previously we would always focus the main search entry by default when starting the application. This had the downside of always showing the on-screen keyboard on start-up on tablets (when no keyboard is available). Now the search entry is instead automatically focused when typing (and no other text entry is active). This also means you can always start a search by start typing (unless a dialog such as the edit dialog is up, of course). This is also more in-line with how other GNOME apps does it. Unfortunatly, we still haven't found a solution for hosting an instance of OpenTripPlanner for public transit routing, so when using that feature you'll still need to either run your own server, or point to a third-party one (by using the OTP_BASE_URL environment variable).